Andy Adams' "The Log of a Cowboy" has long been acknowledged a classic of western American literature. Hoffman Birney, in the "New York Times Book Review," once declared, "If there is such a thing as an all-time 'best' Western, that is it." One of the most delightful features of the Log is the inclusion of tales told by the cowboys at night. 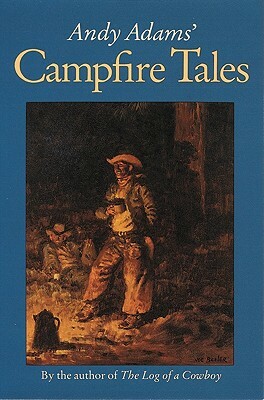 Adams was a master of the campfire tale, and the fifty-one collected here, each told by an Andy Adams character, touch upon every aspect of range life. Readers will never forget characters like Bull Durham, Uncle Dave Hapfinger, and Aaron Scales, or the tale of the tubercular drifter whose death caused tough cowboys to cry, or the gruesome account of the hanging of the renegade Kansas lawman, or the humorous incident of the "big brindle muley ox" that decided to ride instead of walk.